A smaller sticker reads, "Reactrix Network, call technical support before disconnecting," likely a part of a frame relay setup. Reactrix provides interactive advertising services. In the Nanuet Mall, it was likely used for digital billboard signage. This is the door leading to a telecom closet, located inside a janitor's closet. 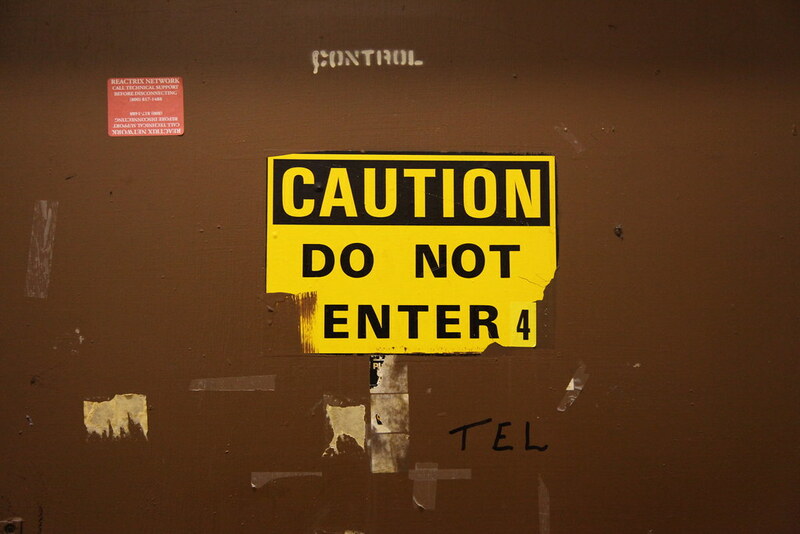 "Control" is stenciled above the sign, a vestige of when Control Building Services provided custodial services at the mall.